Oh my god. Nothing will ever be the same. This book has ruined all other books forever. I adore this story. Admittedly, I committed a reader’s crime and I watched the movie first *dodges tomatoes* BUT I think I made an excellent decision (not that I actually made a decision, it just sort of happened that way – a bit like eating one block of the chocolate bar but knowing you’ll eat the whole thing, yes?). But why? HOW could this be an excellent decision. Well I’ll tell you (that’s what we’re here for after all). Firstly, Geoffrey Rush, and secondly, Saumensch. Geoffrey Rush is a most extraordinary actor whom I love. I would/will see every movie EVER with him in it because he’s that fantastic. His ability to capture the character of this story is jaw-droppingly wow and his German accent, to me, sounded flawless (although to be fair I’ve probably met like, four Germans in my life). WHICH is another amazing thing about the movie. But we’re not talking about the movie right now, as you might notice (if you scroll down) I’ve reserved a whole little section for that. So really what I’m trying to say is that this is a complex book and the visual image of the actors and settings and accents was very helpful and I feel made the story knit together just that bit better in my mind. Which ties in nicely with my second point that I would have no idea how to pronounce that word but now I can happily curse people in German on a daily basis and for all they know I’m saying: cheerio! For the benefit of those who don’t know, this is a book set in WWII Nazi Germany on a quiet street of little consequence with characters who are fit to burst with personalities. The main character is the daughter/orphan of a communist who is living with a not-communist foster family who are quite strict (but not really) and she has to fit in (although really she’s planning to run away). So, to you, I present a book that sees the horrors of Nazism through the eyes of a child. This book is very sad. Very tragic, very sad . . . but also really funny. The story is, and get this, narrated by Death. With a capital “D”, yes. 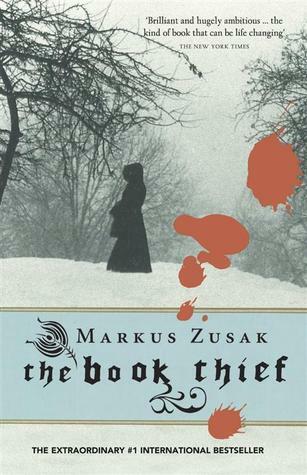 This story follows a young girl called Liesel because Death finds her story interesting. This is something that does not come across so well in the movie, sfortunatamente (which is “unfortunately” in Italian, #DailyWordsWithKirstie). Personally, I quite like that. Such stupid gallantry. Death is a really quirky character. He has a sense of humour (and I’m saying he because I am) and I love his inability to tell the story in the right order. You’ll know the fate of the characters before the ending of the book, which’ll only make you weep or laugh more. Death doesn’t do suspense, Death doesn’t care. Death just wants to tell you a story and for you to appreciate it because he’s bloody tired and wants to sit down – but of course, sfortunatamente, there’s no-one to do your holiday cover when you are, quite literally, death. The story follows Liesel from a young age to her death, whenever that may be (stop trying to guess). We explore key moments in her life and it’s beautiful. We see her struggle with grief and horror at the realities of her life but we also see her at her best, making friends and finding all types of love. And also some really quite courageous attempts at pilfering. These two are the stars of the show. They’re fast friends, in a sort of reluctant way, and the story is seasoned with cheeky remarks from Rudy asking Liesel for a kiss. They do most things together because they’re neighbours and the same age and I adore how simple their friendship is, really. Liesel is a very interesting character. If you’ve seen the movie, you’ll understand. She’s almost sullen, but expectedly so, but she has this love of life in a way that only a child can have. She’s quick to learn and easy to love. She is exactly what I would expect a girl of her age in her situation to be like. A note worthy of mention is that throughout the book Liesel and her foster family hide a Jew, Max. This is a very hard topic to write about in such an almost light-hearted way as Zusak manages to pull off. Max is a wonderful character and probably one of my favourites – his influence on both Liesel and me in the way we now view the world is awesome. Have you ever tried describing the weather using your owns words? Don’t use “cloudy” or “sunny” or “rainy”. Go on, I dare you. Rudy is a bundle of joy. I don’t want to talk too much about his character because I think he’s best left for you to discover yourself. He’s brave and adorable and his devotion to Liesel is a heart-breaking. Especially as Liesel is so tom-boyish and seemingly uninterested. I think what I love about the image I have of Rudy, non-film related, is the way he’s described as the boy with hair the colour of lemons. Isn’t that a nice image? Perhaps I’m biased. If you know me, or read my reviews, you’ll know that I love history (it’s quite literally very almost my life). And Nazi Germany, or just WWII, is quite often a favourite era amongst history buffs. I am no exception. I love this representation of this world and I love that it’s not about the fighting, not really. It’s about what Hitler did to the everyday people who didn’t necessarily care about his politics, who just wanted a happy family and bread on the table. It’s about feeling the mixed emotions over watching Jewish shops shut down. It’s about making note of the marches of Jewish prisoners through the streets. About preparing for air-raids and having basement inspections. About not enough food and learning Nazi hymns. It’s very, very real. I just can’t get over how tastefully it’s done. 1. The desperate Jews – their spirits in my lap as we sat on the roof, next to the steaming chimneys. 2. The Russian soldiers: taking only small amounts of ammunition, relying on the fallen for the rest of it. To this I applaud Zusak because in my opinion he has nailed this home-front representation and by doing this via Death’s perspective it’s brilliant. Give the man some cake. Ah, the movie The movie was beautiful. When I first watched it I remember walking out of the cinema feeling what can only be described as emotionally bruised and randomly exclaiming throughout the following week BUT IT CAN’T BE. NEIN. So if you haven’t watched the movie yet, take my proffered packet of Kleenex and hunker down with a blanket. The movie is a perfect companion to the book. I want to say (and I have actually recommended this already to someone) that if you not a keen bee about reading the book, then watch the movie first. And even if you are itching to get your hands on the book, then by all means don’t punish yourself by keeping away from the movie. It’s a wonderful packaged experience. The movie helps portray things that you’ll probably struggle with in your own imagination, but the book takes everything further and tells you a bit more about everything. My final words on the movie are this: watch it. I don’t think I need to turn this into an essay (just kidding, I already have) but I think you get the point. YOU NEED TO READ THIS, PEOPLE. I’ve actually managed to go the whole review, I’ve just realised, without bringing up the topic of books. So: this book is a story about the impact of books. There you go. The story is fabulous, it’s the most unique book in the world, and it’s ridiculously enjoyable. Sure, you’ll probably bawl your eyes out but you’ll love it It’s nice to care about characters so much sometimes. This book is infallibly good. I can’t recommend it enough. If you enjoy war stories that break your heart a little, All the Light We Cannot See is for you. 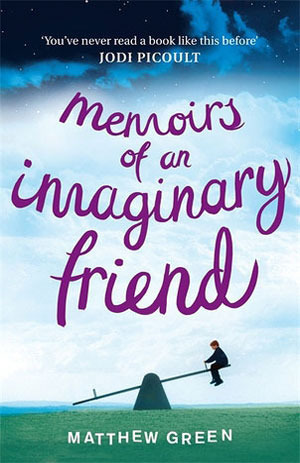 If you like stories from unique perspectives, Memoirs of an Imaginary Friend is for you. 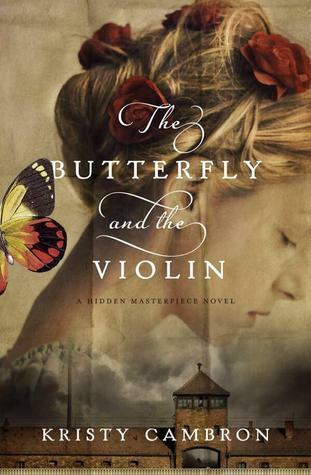 If you like learning about war whilst reading, The Butterfly and the Violin is for you. 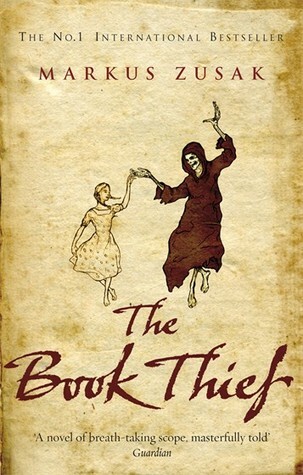 The Book Thief is one of my all-time favourite books so I am so so glad you loved it as well! I thought it was so beautifully written and the fact that it was narrated by Death made it even more so! It’s just such an amazing book 😍😍 I’m definitely glad that I’ve finally read it! Wonderful review, I really need to re-read the first few chapters and finish this book ASAP. I started this book like two years ago and for some reasons I haven’t finish it yet, which is really weird because that’s so not me and this book is really wonderful. I feel you, I also have watched the movie first, and gosh did it killed me. Awesome review! This is one book I’m super ashamed to admit that I haven’t read yet 🙈 I’m kind of intimidated because of the size and because it’s a historical fiction. I definitely plan on reading it though because it sounds so amazing and I love that it’s narrated by death. Thank you!! Aw you should totally get onto it!! And don’t worry, you’ll want more more MORE pages. It’s really good as an historical fiction goes because of the way it’s told like a story – so you don’t get bogged down in stuff as in other HF novels. Ah, that’s really good to hear!! 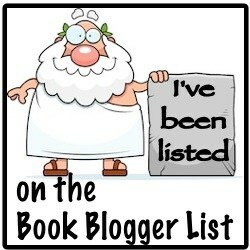 It’s definitely on my “hurry up and read this book Lauren seriously” list haha. 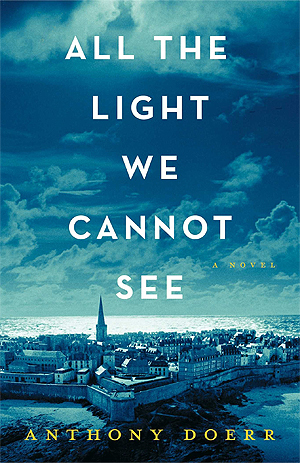 This book was amazing and than afterwards i read All the Light We Cannot See. I too enjoyed the narration from Death. I thought that was the best view point and made this book really stand out from others. The characters in this book were all lovely in their own way. The movie completed my visions and brought the characters to life. This book will forever be a life changing book for me because it made me feel all emotions and I actually cried at the end because I didnt want the story to end. Well written piece and thank you for having a thorough book review, well done! The movie was great! I was very pleased. But goodness, the book really is perfection, isn’t it? This has been my all-time favourite book since the first time I read it. It’s so unique and beautifully written. It’s like poetry. And all the characters are so loveable. Instabooklove is absolutely real! I’m so glad you loved it too!